If looks could kill, these products would. 1. 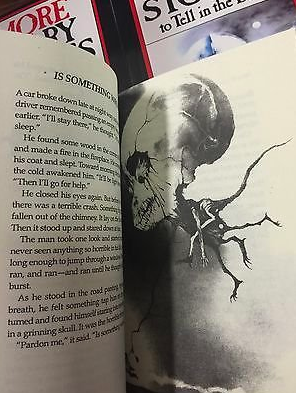 A box set of Scary Stories to Tell in the Dark (with the original artwork by Stephen Gammell). 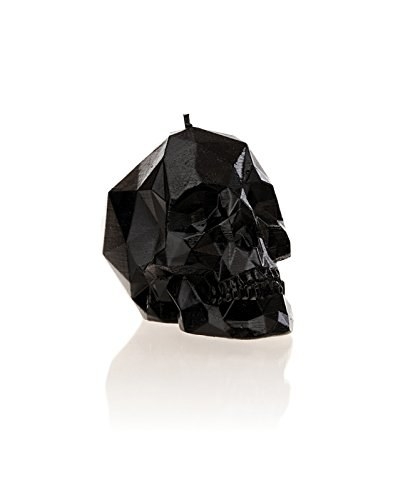 These are selling out so fast it's ~scary~, so act quick before this darkness no longer exists! 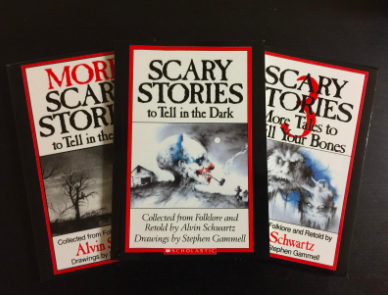 These are the illustrations of our '90s childhood nightmares. Get them (used) from Amazon for $18.98. 2. 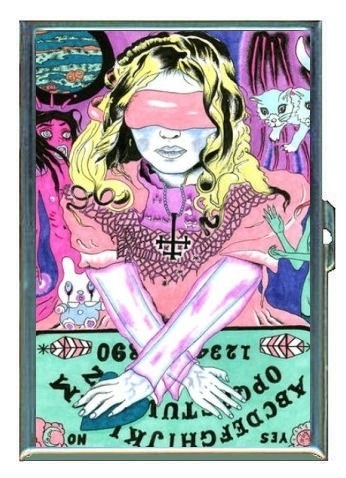 A gothic tarot deck you're gonna cling to when your cards don't play out in life. Get them from Urban Outfitters for $39.99 or for a less expensive peak into your future, grab this classic deck from Amazon for $14.79. 3. 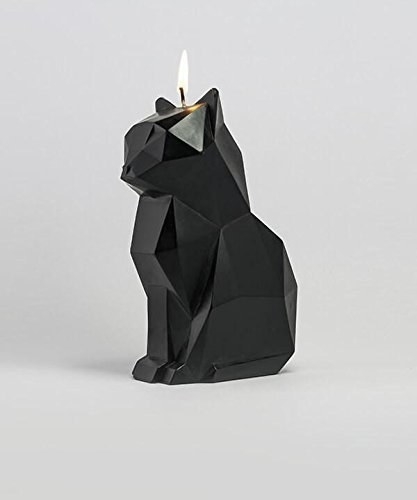 A kisa candle for anyone who has a ~burning~ love for cats, sleek or skeletal. 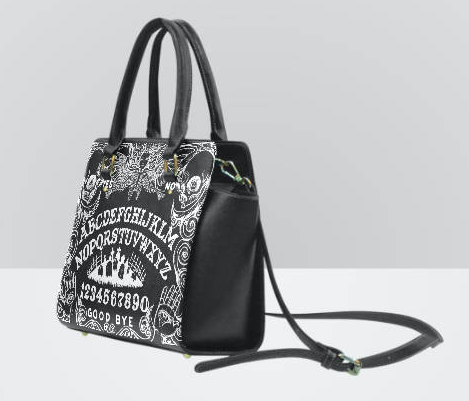 Get it from Stuff of The Dead on Etsy for $47.99 or get a similar one from Walmart for $37.99. 5. 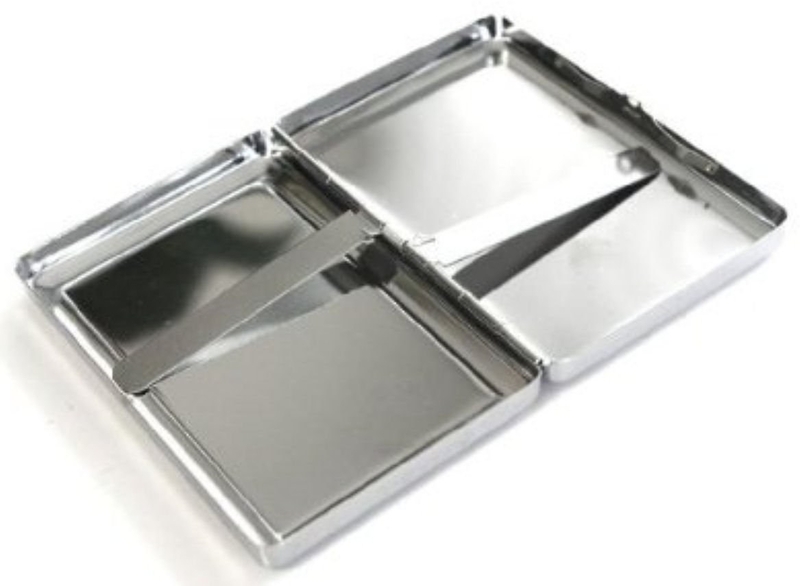 A metal seance wallet which just might ~change~ your relationship with the afterlife. 6. 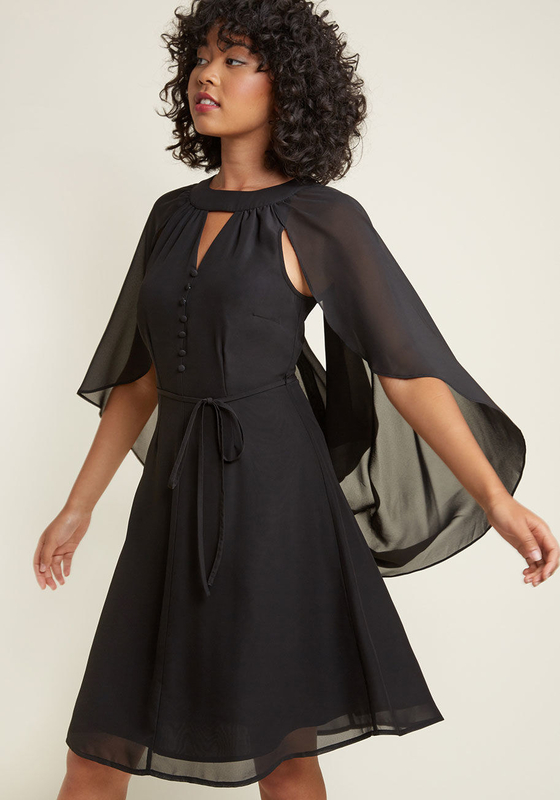 A cape dress you can casually wear anywhere you want a little vampire attire. Get it from ModCloth for $37.97 (available in sizes XS–4X). 7. An empowering (spell) book of poems every witch can learn from. 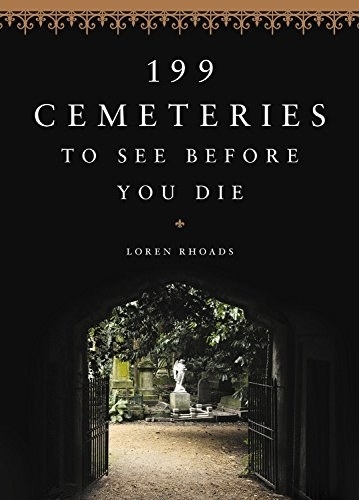 Get it from Amazon for $11.98, Urban Outfitters for $14.99, or from a local seller through IndieBound here. 8. 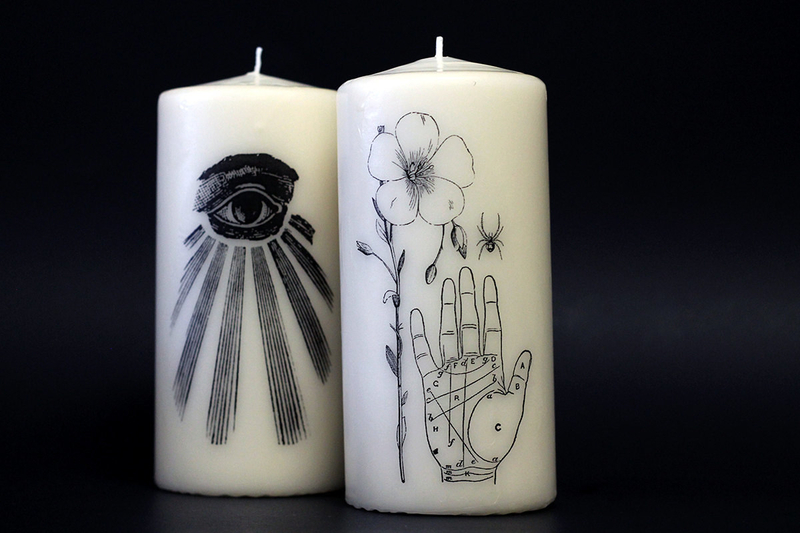 An occult candle or a skull candle that's sure to ease your spirit in this life... and the next. Get the ones on the left from Burke & Hare Co. on Etsy for $18 and the one on the right from Amazon for $15 (available in seven colors). Get it from Free People for $80+ (available in four styles) or get a similar one from Amazon for $49.99 (available in three styles). 10. 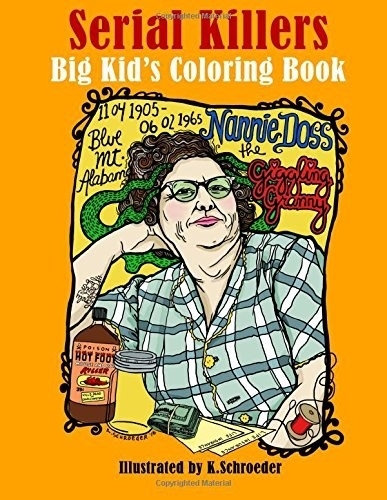 A coloring book for anyone who loves art... and arsenic. 11. 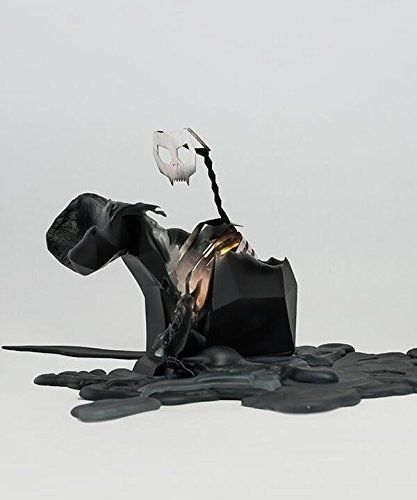 A romantic black bird to elegantly decorate your home with the forces of (dismal) nature. 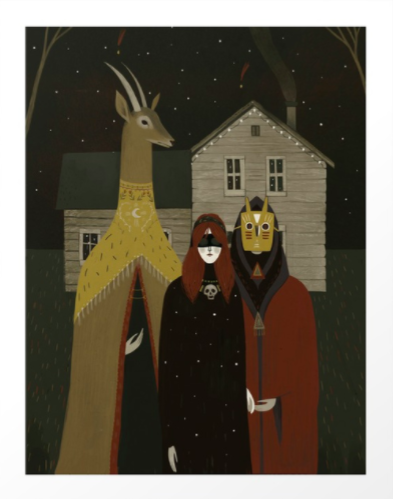 Get it from Tamar Mogendorff for $325. 12. 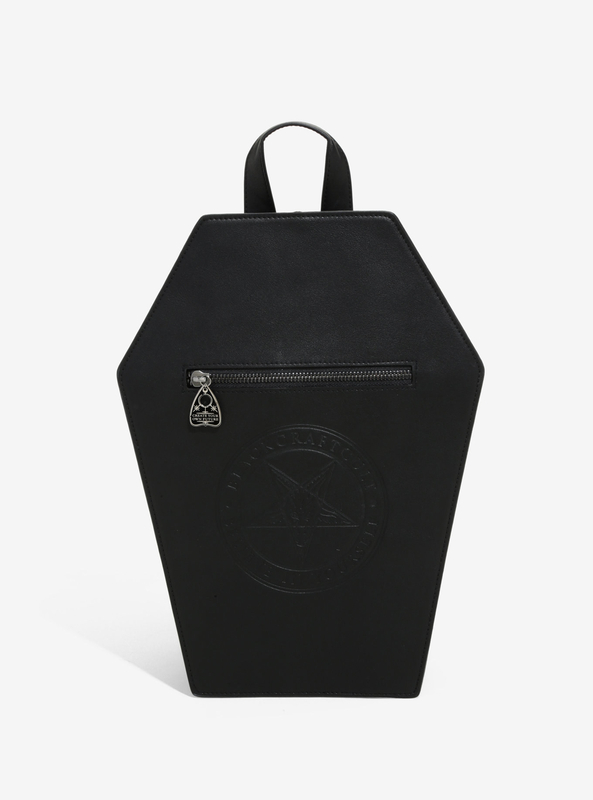 A coffin cell phone case you'll be ~dying~ to slip on your cell. Get it from Valfré for $38 (available for iPhone 6–8+). 13. A striking photograph of an abandoned Icelandic church as gorgeous as it is lonely for anyone who sees the beauty in isolation. 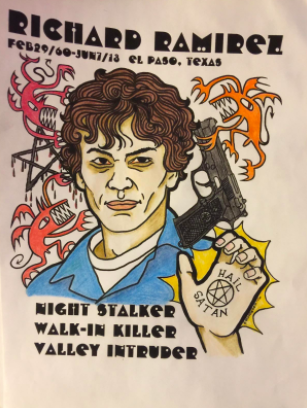 Get it from Swap Shop Kid on Etsy for $30+ (available in four sizes). 14. 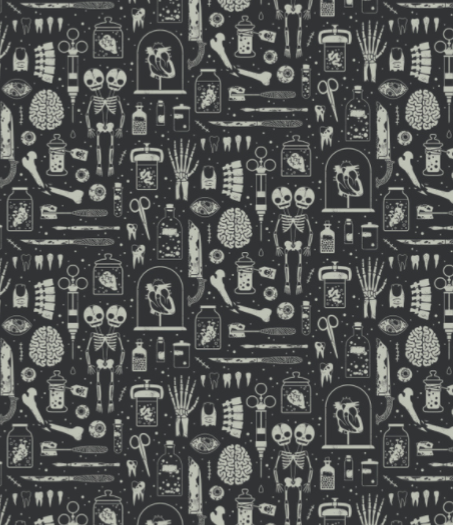 A skeleton dress you're gonna want to get your ~hands~ on before it's too late. Get it from Asos for $25 (available in sizes 6–12). 15. 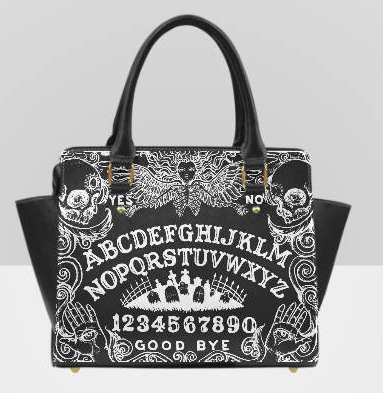 An occult shirt that'll show summoning demons is (adorable!) child's play. Get it from Amazon for $10.99+ (mens) or $14.99 (womens). Get them from Alexandra Dvornikova on Society6 for $19.99+ (the one on the left, available in four sizes) and $17.99+ (the one on the right, available in three sizes). 17. A pair of thick sunnies that are gonna make even the brightest summer days dark. Get them from Unique Vintage for $58. 18. A coffee mug for the person who knows how to make the perfect brew. Get it from Look Human for $12.99+ (available in two sizes). 19. 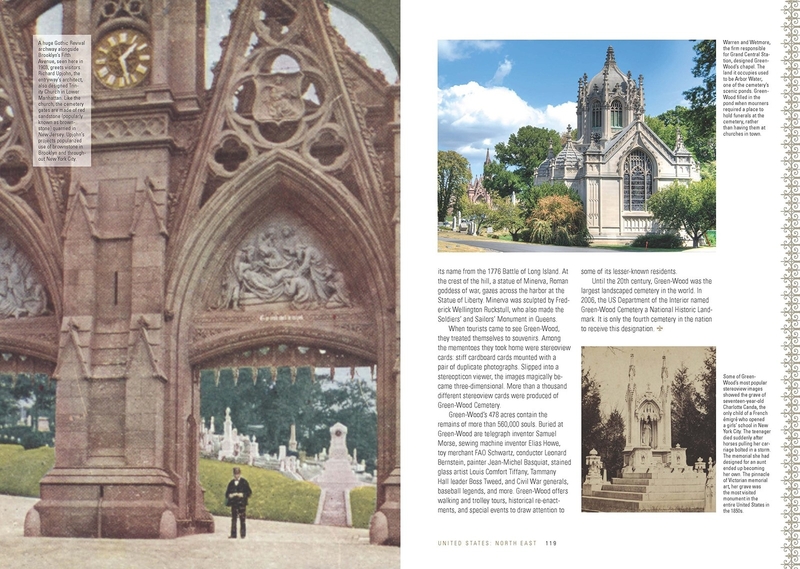 A book of cemeteries you'll need to visit before (and after) you die. 20. A hidden mother necklace that'll be just your daguerreotype. Learn more about hidden mother photography. Get it from Sarah Collins Studio on Etsy for $30+ (available in eight lengths). 21. An impeccably detailed ring with a face you're gonna love, baby! Get it from VeraMeat for $68 (available in four styles and sizes 4–8.5). 22. An HD version of The Witch — an absolutely stunning historical horror film that *may* make you afraid of petting zoos (and pilgrims) for the rest of your days. Buy it from Amazon for $7.99 or rent it for $3.99. 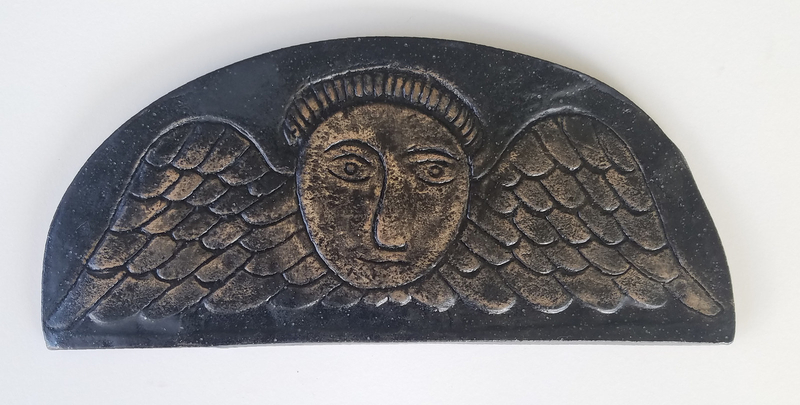 Get it from Grey Squirrel Studio on Etsy for $20 (the head) and $13 (the hand). 25. 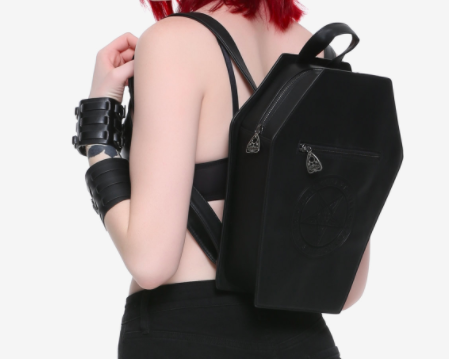 A backpack sure to hold all your most precious remains. Get it from Hot Topic for $42.90 or get a similar one from Walmart for $59.99. 26. 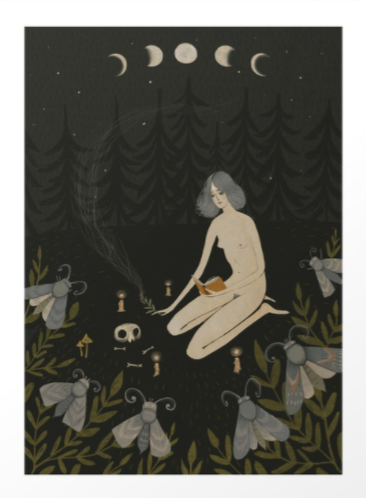 A tarot tapestry that's gonna be the ~star~ of your dark decor. Get it from Urban Outfitters for $39 (available in three styles). 27. 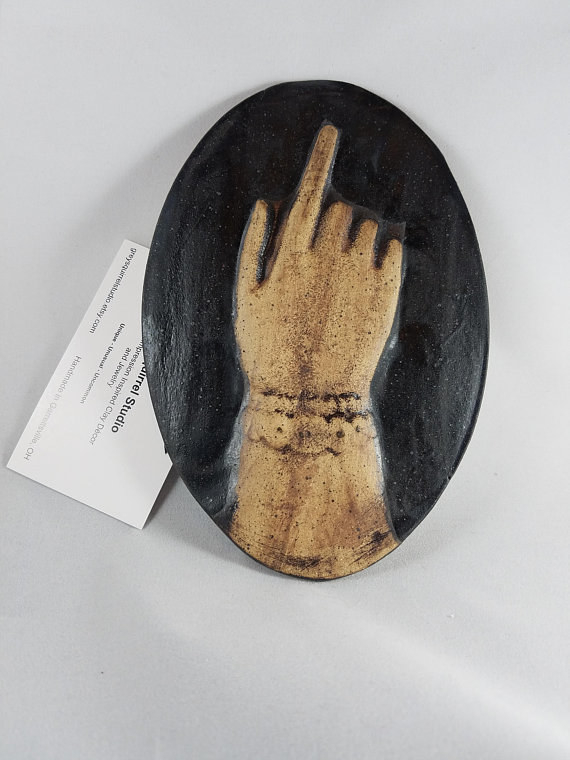 A funny and lovely My Favorite Murder necklace any murderino would ~kill~ for. Get it from KB Craft Works on Etsy for $14+ (available in three colors, with or without charm) and if you're not a murderino but still want a sharp little charm, grab this clever necklace from Amazon for $9.75 (available in four colors). 28. 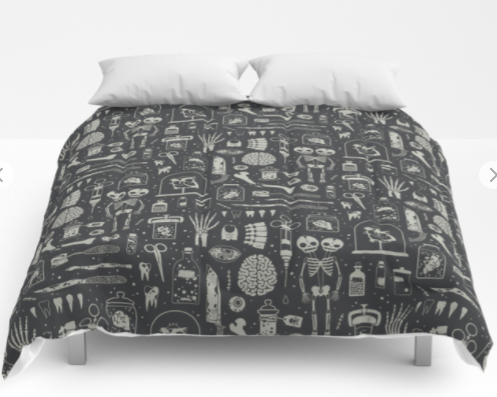 A duvet cover that looks like it came straight off the American Horror Story set. Get it from Society6 for $88.99+ (available in five sizes) or get a similarly scary set on Amazon for $37.95+ (available in four sizes). 29. A gloomy vintage print that'll prove you're not ~clowning around~ when it comes to your assortment of morbid decor. Get it from Antiquephotoarchive on Etsy for $5+ (available in six sizes). 30. And a set of eight eyeballs you won't wanna wait to ~see~ all around your house. Get a set of eight from Grandin Road for $29. Me, ~unfortunately~ waving "goodbye" to my paycheck.